Yoga in the Gallery w/ “You Good, Sis?” » Mass NOW INC.
Join us & Rachael from “You Good, Sis? 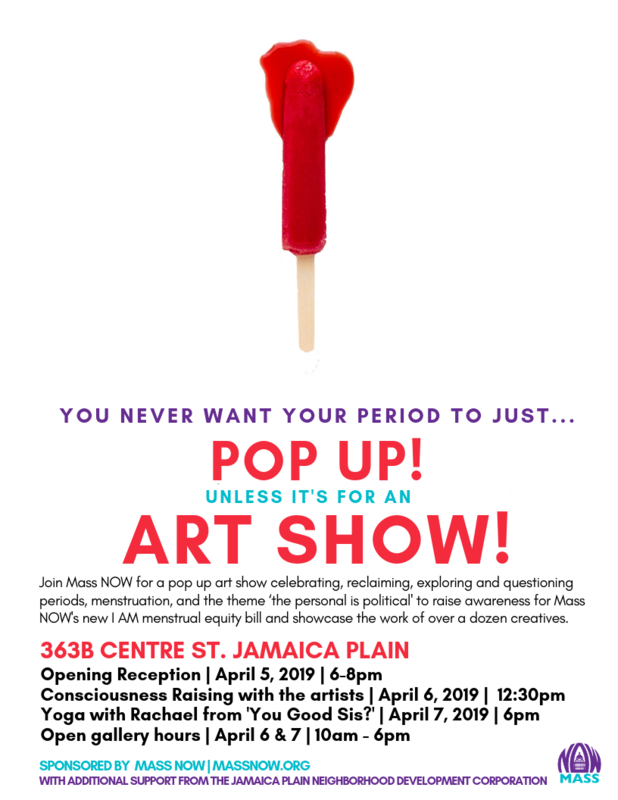 for a yoga session in the gallery where our pop up art show celebrating, reclaiming, exploring and questioning periods, menstruation, and the theme ‘the personal is political’ to raise awareness for Mass NOW’s new I AM menstrual equity bill is on display. “You Good, Sis?” is a collective for black and brown women looking for a mental, physical and spiritual check in. We strive to define and a create a specific space dedicated to the wellbeing of women of color. We are most proud of the people who consciously choose to be part of the community and continue to show up.